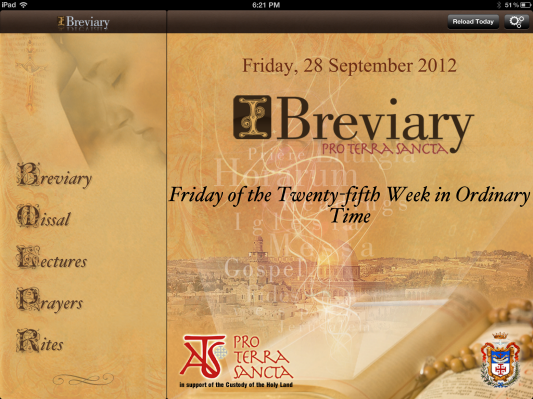 My IBreviary has both the older closing prayer for the Liturgy of the Hours and the new translation. 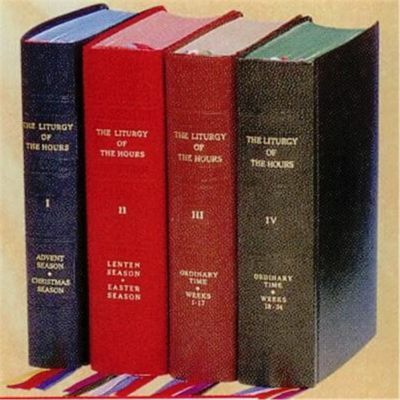 The Breviary actual books are not updated yet. The closing prayer is actually the Collect of the Mass of the day. Can you tell which is which and why do you like the one you like? strengthen and protect us in our weakness. What, one might ask, makes, in your view, the over use of commas, a writing misstep, so much more, as it were, preferable? You need to get a life. Go out and make some converts and inspire some vocations to the priesthood. Anonymous, being a liturgical ignoramus, does not appreciate the Collect form (Cranmer did, and used it in his BCP). It was also the way that we always said vernacular prayers. For example: 'O God, the Creator and Redeemer of all the faithful, grant to the souls of thy servants departed the remission of all their sins, that through our pious supplications they may obtain that pardon which they have always desired.' At what age did I learn this? Seven? Eight? Blech, per omnia saecula saeculorum. Bravo. Anonymous You Know Who is getting tiresome. I very much appreciate the Collect form. I also appreciate that cathedral roofs were once made entirely of wood. But I also appreciate that, as you note, "...it WAS the way that we always SAID vernacular prayers." What you seem not to appreciate is that language develops and evolves over time. What WAS the way we prayed is not the way we pray today. Nor will it be the way we pray hundreds of years from now. If the prayers should be heard and understood, and they are meant to be heard and understood, then using a style of language that makes them understandable is, I would suggest, to be preferred. Elementary schoolchildren in Victorian times would memorize the Cranmer Collects which served a two-fold purpose; it improved their religious awareness and taught them how to construct an English sentence. So what we pray today is indeed what we prayed fifty years ago, as well it might - language does evolve over time, but the English of (say) a newspaper article written in 1959 is no different from the English of a similar article written in 2019. Of course, we use terms which would have puzzled a reader sixty years ago, but that hardly applies to the language of prayer. The Our Father and Hail Mary are indeed in archaic language. Are we to believe that Anonymous prays them in what he assumes to be 21st century English? "Elementary schoolchildren in Victorian times would memorize the Cranmer Collects which served a two-fold purpose; it improved their religious awareness and taught them how to construct an English sentence." Note 1. Queen Victoria has been dead since 1901. Note 2. Most of the world does not speak "Victorian" English, does not construct sentences according to the style of Victorian English, and does not hear Victorian English spoken. Anonymous does pop up with non-sequiturs. Cranmer wrote in the sixteenth century, but his language, and that of the King James Bible, belong to English literature. Perhaps he actually thinks that Cranmer was Victorian. Poor Anonymous, he's not the sharpest knife in the box. He would do well to read Macaulay's essays as an example of English prose in the first half of the nineteenth century. It is no different from the language an historian would use today, although few modern writers can match his elegance. Having done so, he can then give an example of a sentence construction which is obviously dated. The only thing that might give a clue as to the century in which it was written is an occasional overuse of the subjunctive. Anonymous grammar corrector, likely thinks we should get with the times and recite the "ebonics" rosary, or have a "rap" mass. For one thing, the word "revive" hints at the Resurrection, a subtle point lost in the sterile Comme le prevoit old translation. BOMBSHELL! THE CONTEMPLATIVE POPE SPEAKS! WHAT DO YOU THINK CLERICALISM IS? TO VEIL OR NOT TO VEIL; THAT IS THE QUESTION!